I love my own whiskys, love alternating games in the mouth, like pear and exotic in combination with oldschool notes such as the light Heiderauch and malt. That's why the high points compared to the average. Good nose for those who wait, but on the palate and mostly in the finish, the wood is simply tool oud. Thanks, Chris! The nose is very clean and does not offer up a lot of aroma at first… I get some citrus, paper and oatmeal. Only after some patience that is joined by some honey, vanilla and juicy pears. Give it another extra five minutes to settle and it will reward you with some pineapple, melon and silver polish. Pleasant enough if you are patient. It starts quite fruity and feisty on the palate, but quickly the wood starts to dominate, turning it quite bitter. While it remains sweet (vanilla, crystal sugar) and somewhat waxy, a sour note appears as if from grapefruit and quinine. But it is mostly the tannins that ruin the fun here. It becomes quite sharp and water does not save it. That bitterness becomes quite big in the medium finish, which is not a good thing in my book. [November, 2006] Together with friends I emptied bottle no. 2650 that I bought for 67 Euro in May, 2006. In my old rating system (ten scales that translate into WB points: 50 - 66 - 75 - 80 - 82,5 - 85 - 87,5 - 90 - 92,5 - 95) I scored it 87,5. 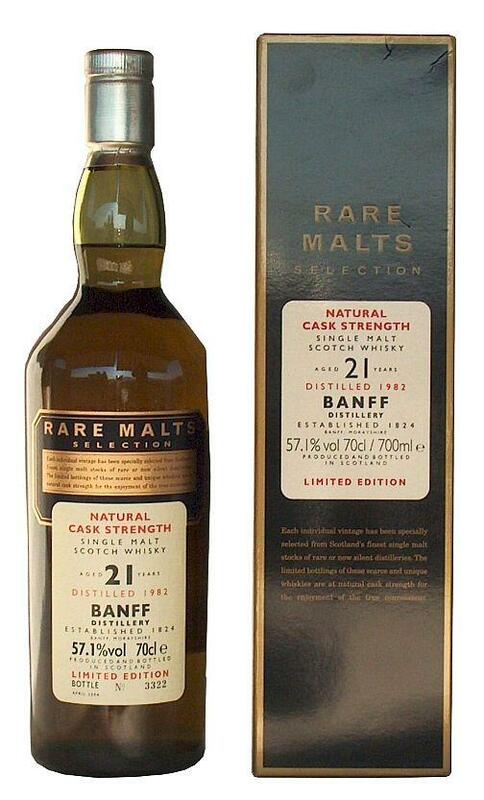 My notes state the typical fat and oily "Rare Malts" profile with some nutty and spicy (vanilla) flavours. 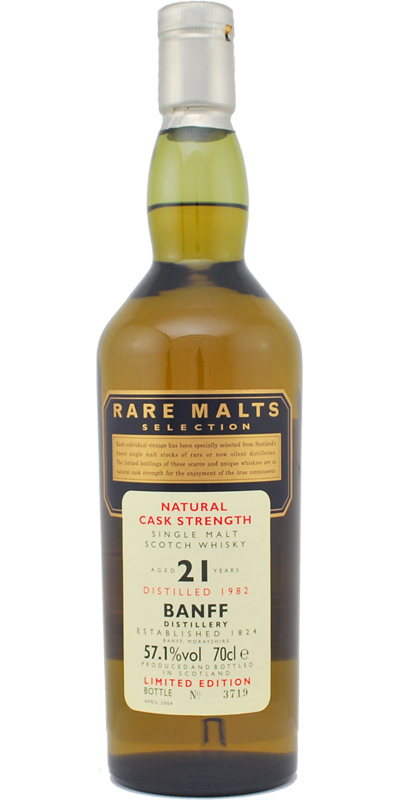 Water is certainly advised to open up this otherwise somewhat shy and punchy dram.